"Você poderia postar scans das caixas dos cartuchos do Telstar Arcade logo o MESS terá suporte a este console e as imagens dos cartuchos e das caixas seriam bem úteis." In English: "Could you post scans boxes and cartridges of the Telstar Arcade soon ? MESS will support this console and images of cartridges and boxes, it would be very useful." Minha resposta em português: "Olá Dennis, eu poderia postar scans das caixas e cartuchos da Coleco Telstar Arcade mas onde você já ouviu essa confusão em breve apoiar esta consola de jogos Estou curioso para saber aonde você obteve esta notícia Graças?. -Benzóico! =)"
In English: "Hello Dennis, i could post scans of the boxes and cartridges of the Coleco Telstar Arcade but where have you heard that MESS will soon support this game console ? I'm curious to know where you got this news. Thanks! 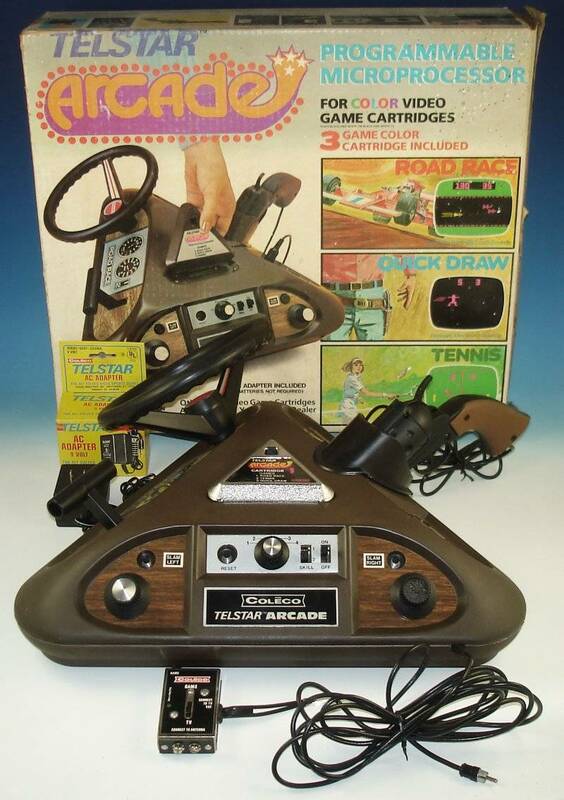 =)"
Some information: Cartridge #1 doesn't have any box of it's own as it came with the Telstar Arcade. Same thing as the manual as it is with the Telstar Arcade manual. I do have this manual already scanned and also the manuals of cartridge #3 and #4 but i am missing the manual of cartridge #2. As for the rest, i do have the boxes of cart #2-3-4 plus all the game cartridges. So if MESS (MAME) will indeed support this game console in a very near future then i'll post the scans as soon as i can. So if anyone has a copy of the manual for the cartridge #2, would you be so kind to scan it ? This would be very appreciated!